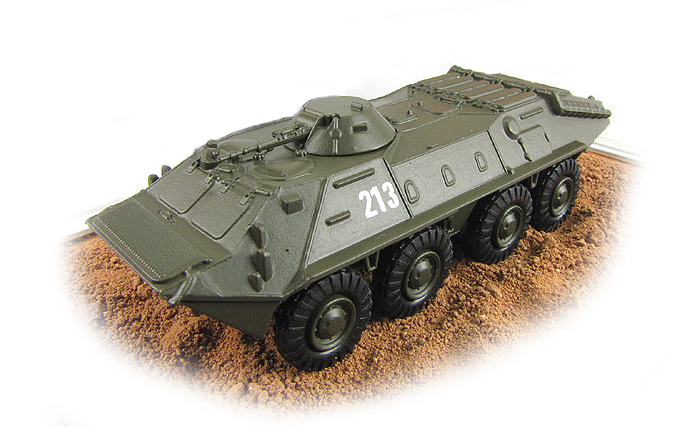 The BTR-70 is an eight-wheeled armored personnel carrier (Russian: бронетранспортер, BTR stands for Bronetransportyor literally "armoured transporter"), originally developed during the late 1960s under the industrial designator GAZ-4905. 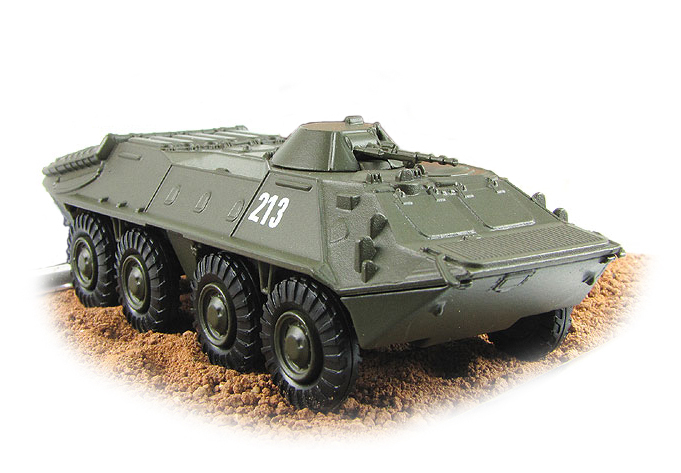 On August 21, 1972, it was accepted into service and would later be exported to the Warsaw Pact and other allies. 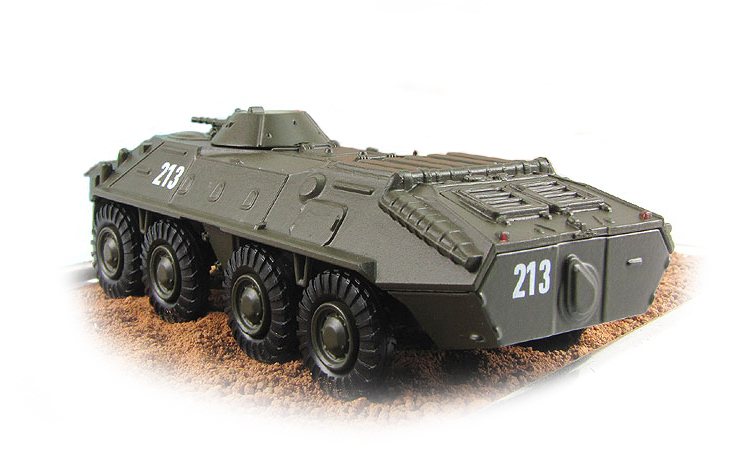 Introduced as a successor to the earlier BTR-60, it most closely resembles a BTR-60PB. Other improvements include heavier armor plating and tires less prone to puncture. 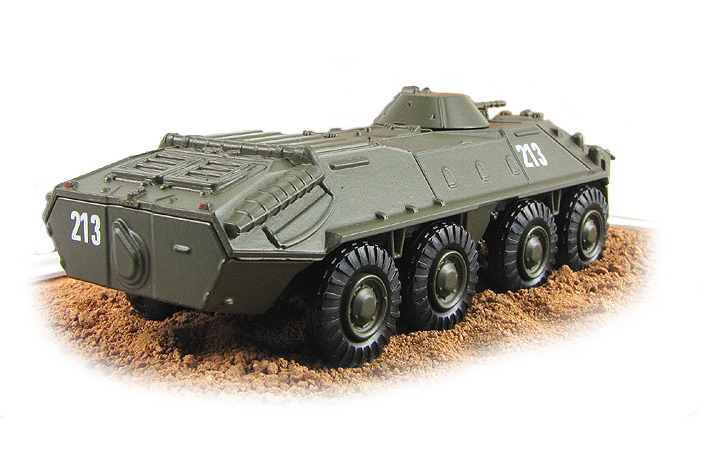 In other respects, the vehicle is very similar to the BTR-60PB, with a more powerful petrol engine configuration and armament of a primary heavy machine gun and secondary PKT machine gun on a roof mounted turret. The vehicle's designers moved the side troop doors. On the vehicle's predecessor, these doors were located above the beltline between the second and third pairs of wheels on both sides of the vehicle. 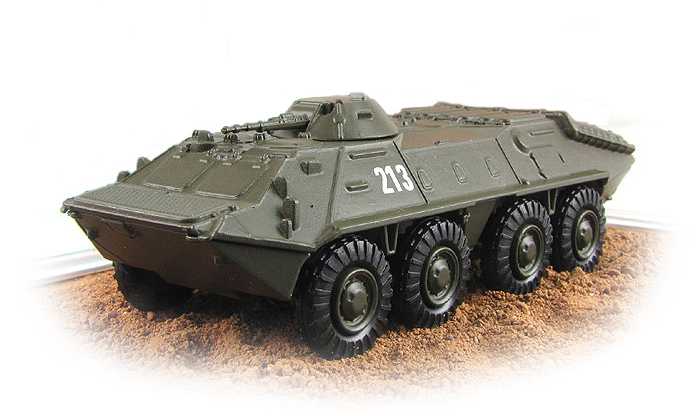 On the BTR-70, the doors are below the beltline between the second and third pairs of wheels. As Soviet tactics calls for unloading troops from the vehicle while it is in motion, the door location increases the chances that a soldier will be pulled under a wheel and injured or killed, although it also means that the troops can get out quicker while exposing them less to the enemy.